He is currently serving as Professor & Director of Amity Law School, Delhi, India since April 2013.He has organized various National Seminars, authored/edited 7 books and published more than 50 research papers on various social legal aspects in national and international journals. Prof. Sehgal was a member of Editorial Board of prestigious Journal of Indian Law Institute, 2003 and Kashmir Journal of Legal Studies. 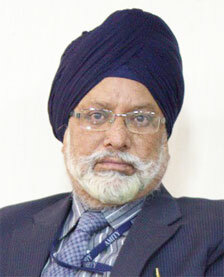 He also remained an advisor to Union Public Service Commission, Uttarakhand Public Service Commission, J&K Public Service Committees, Life Member of Indian Institute of Public Administration and a member of academic bodies of various Universities.